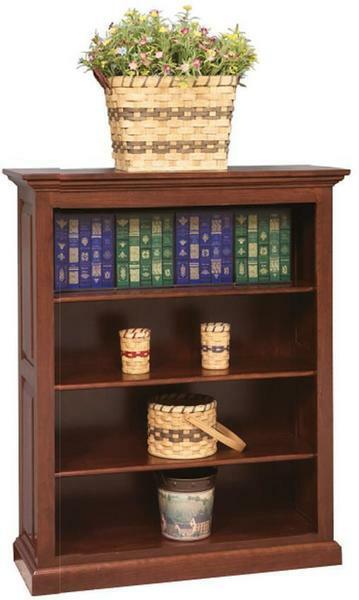 This stunning solid wood bookcase is Amish handcrafted with raised panel sides and adjustable shelves for a variety of storage options. Select your wood and finish from a generous selection of premium North American hardwoods and an attractive selection of paints & stains for a custom look to match your personal style and work space decor. 2 Adjustable Wood Shelves with 36"
3 Adjustable Wood Shelves with 48"